The annual July 1 demonstration acts as a thermometer for dissatisfaction levels and grievances in Hong Kong. Officially the anniversary of Hong Kong’s 1997 handover, when Britain gave the former colony back to China, it is also the day of one of the most significant protests of the year. In 2003, hundreds of thousands of Hong Kong residents protested against controversial Article 23 legislation, a security bill aimed at prohibiting subversion, sedition, secession, or treason against the central government. This was one of the largest protests ever in Hong Kong and the July 1 rally, which had been held in the past on a smaller scale, became an iconic event. According to police, 350,000 people participated in the anti-Article 23 rally. Organisers said that half a million participated in the event, which was held soon after the SARS health crisis. The march led to the resignation of pro-establishment Liberal Party member James Tien from the Executive Council, which meant that the law could not be passed. The pro-democracy group Civil Human Rights Front, founded after 2002, began organising the march that year, which it does to this day. Numbers took a dip after 2003. In 2004, the march was themed “Fighting for the 2007 and 2008 democratic elections,” and numbers nearly halved from 2003. Without a strong political cause, the numbers remained low from 2004 to 2010. 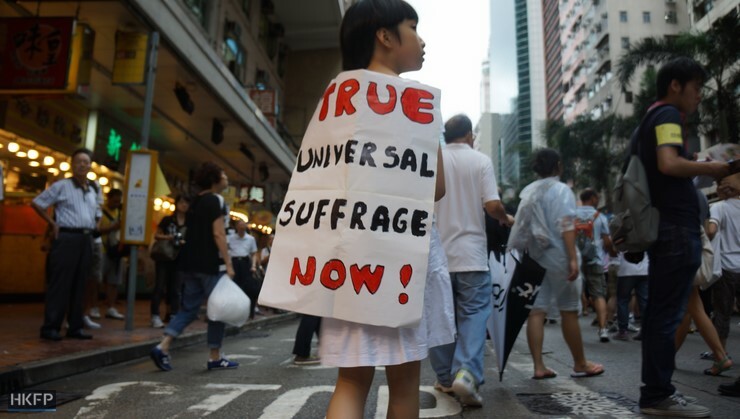 Political themes for the protest revolved around universal suffrage. 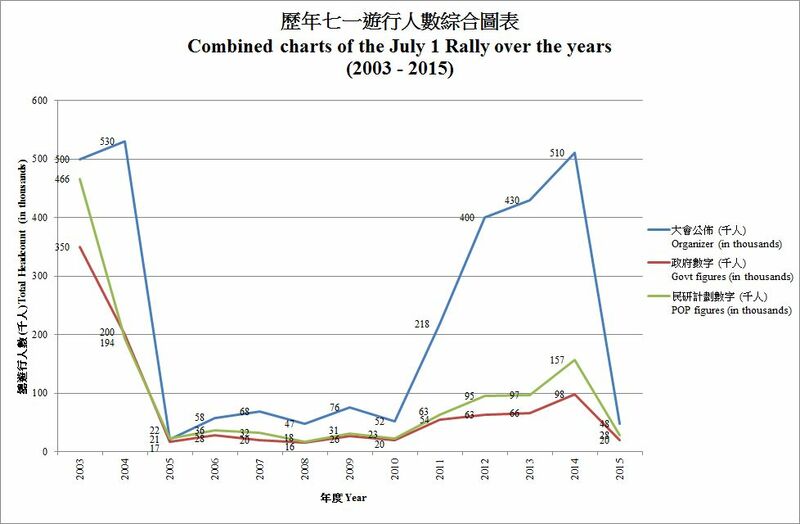 While major political events such as the protest against the Guangzhou-Shenzhen-Hong Kong Express Rail Link happened at the end of 2009, it did not greatly increase figures for the July 1 rally. Headcount from three parties: the government, the organisers, and University of Hong Kong Public Opinion Programme (HKUPOP). Photo: HKUPOP. The 2011 protest saw the highest numbers since 2004, with a slogan of “Give me back 2012 democratic elections, topple the real estate hegemonies, down with Donald Tsang.” Prior to the rally, the People’s Liberation Army staged a rehearsal with armoured vehicles through the city, and a bill changing the Legislative Council by-election system, so that members who resign cannot immediately run as a candidate again, was in debate in the Legislative Council. Participation numbers were greatly divergent, a trend which would continue until 2014, with organisers estimating 218,000 people at the protest, while the police estimated 54,000. In 2012, the rally attracted 400,000 people, according the organisers, who set the theme that year as “Get rid of government and business collusion, protect freedom and democracy.” Meanwhile, the police claimed that there were only 63,000 people at the protest. 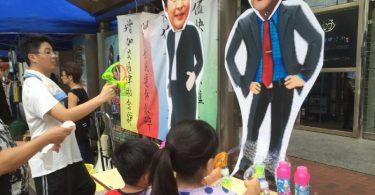 The perception that the China Liaison office was meddling in Hong Kong affairs and the death of Chinese social activist Lee Wangyang were among the reasons why people took to the streets that year. July 1st Protest, 2013. Photo: HKFP. According to the police, numbers were roughly the same in 2013, when 66,000 people participated in the protest under stormy weather. Meanwhile, the organisers estimated that 430,000 people participated. 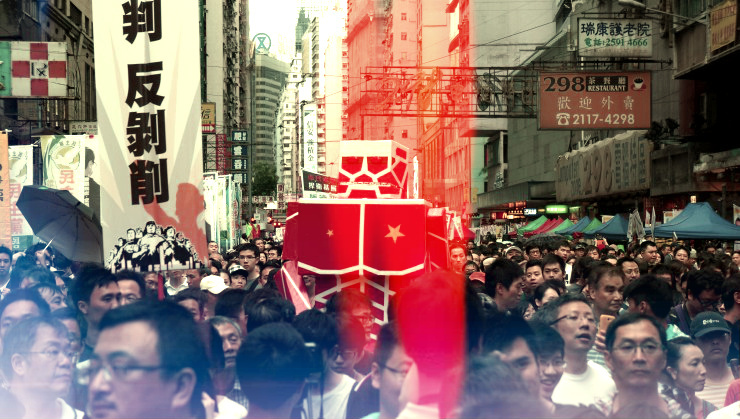 The slogan for the year was “Autonomy for the people, democracy now, occupy Central, build up strength for movement.” Between the 2012 protest and the 2013 protest, controversial issues such as patriotic education, as well as dissatisfaction with parallel traders, became controversies and provoked demonstrations. The 2014 protests saw an increase in the number of protesters from the previous years. While the organisers claimed a record breaking high of 510,000, police said that only 98,000 people participated. Organisers wanted the police to open up all lanes on Hennessy Road, which the police refused. Prior to the protest, the central government issued a white paper, effectively ruling out full democracy for Hong Kong. Other controversial issues included the development of the New Territories Northeast, as well as opposition to a third runway at the airport. The white paper in part led to the pro-democracy occupy protests in 2014, which demanded that the white paper be withdrawn and that the Chief Executive Leung Chun-ying step down. While an internationally reported phenomenon, the protests did not achieve their demands. In the aftermath of the 2014 occupy protests, the protest turnout reached one of its lowest points. Organisers estimated that 48,000 people attended while police reported 19,000. That year, the organisers’ slogan was “Build a democratic Hong Kong, take back my city’s future.” Themes included the amendment of the basic law as well as asking the Chief Executive to step down. 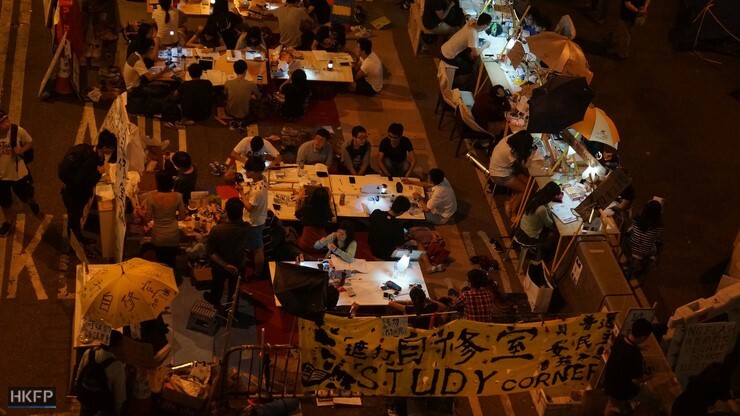 Tensions emerged within the pro-democracy camp after the occupy protests as some felt that more radical tactics were needed to bring about the change that they demanded.